Think back to that first moment when you first found out you could ride a bike. Your dad had let go of holding up the seat and you had balanced yourself enough so you could just let the wheels guide you to where you wanted to go. The wind whistled through your hair, and you grinned so big because you realized at that moment your whole life changed. You were no longer required to stay home. There was a whole neighborhood for you to explore, and all you had to do was hop on that bike so you could see every nook and cranny of it. For the first time in your life, you truly understood the meaning of the word, freedom. But this sense of freedom did not come easily. A lot of heartbreak occurred along the way to you learning how to take that chance and become a proficient bike rider. You had to overcome the embarrassment of riding around the neighborhood with training wheels bolted on to your back tire, allowing your already bike-riding friends the opportunity to point and laugh at you. The arguments you had with your dad were equally frustrating as he would yell at you about the need to pedal and you would claim that you were pedaling, but deep down in your heart you knew you had too many other things on your mind to worry about his suggestion. The bruises and scrapes you collected during the process was a constant reminder of every time you failed. But the great thing was you never gave up. You persisted because you knew that the reward would be worth the struggle, and now you can no longer understand what it meant being unable to ride a bike. We forget about the process of what it took to get us where we are with our bike-riding ability today. We eventually take for granted these important milestones in our life, and more importantly, as we get older, we rarely look for other opportunities that allow us to grow. We grow complacent in our daily routine, and sink into those comfortable moments. I find myself falling into this sinkhole from time to time, and it is when I start to see a danger of my life no longer being relevant. It is part of the reason that I love the fact that the school I work for, Korea International School, has a strong experiential education program. 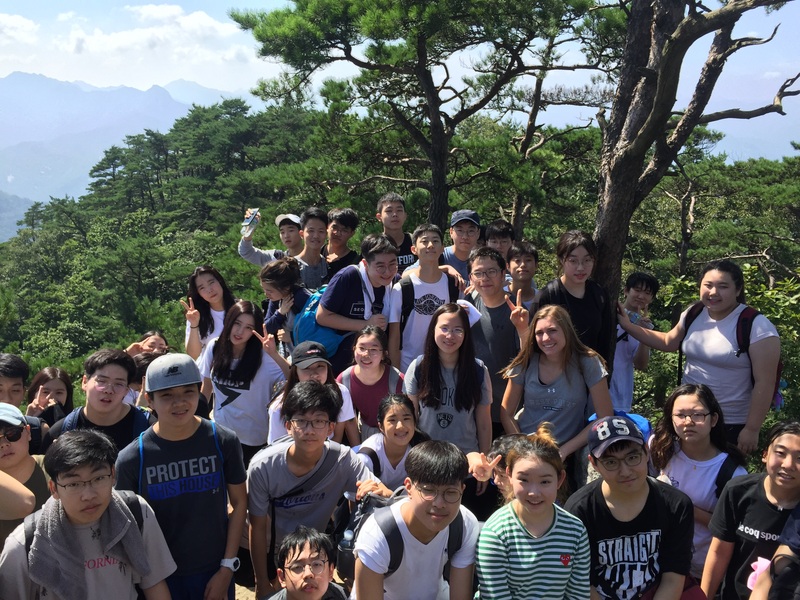 I have been a big part of this program for the last three years as I have taken an active role in designing the trip that the sophomore class takes to Boramwon camp in the mountains a little southeast from Seoul. It has taken a couple of years to tweak the program to get it exactly where we want it, but it has now reached the level that the students will get a lot out of the experience. It centers around the hero’s journey, and just like that journey, the students are required to take their fears and worries on a series of trials and challenges that will allow them to overcome those things they struggle with. They have to take on low ropes, and high ropes challenges, biking, archery, rafting, hiking, and many other little adventures designed specifically to take them out of their comfort level. It is a transformative experience. These kids come into the trip timid and shy, not knowing what to expect. But after each little challenge, they gain a little more confidence in themselves, and gain the willingness to try new, and scary things. In a world that is constantly changing, where we do not know what tomorrow will look like or what challenges will be presented to the human race, this kind of mentality is a really important to instill in students. Plus they have a great time in the process. The challenge of experiential education is not only something for the students. Each trip challenges me as well. There is a certain amount of risk that is involved when you take inexperienced students out into the wilderness to test their wills and their athleticism. 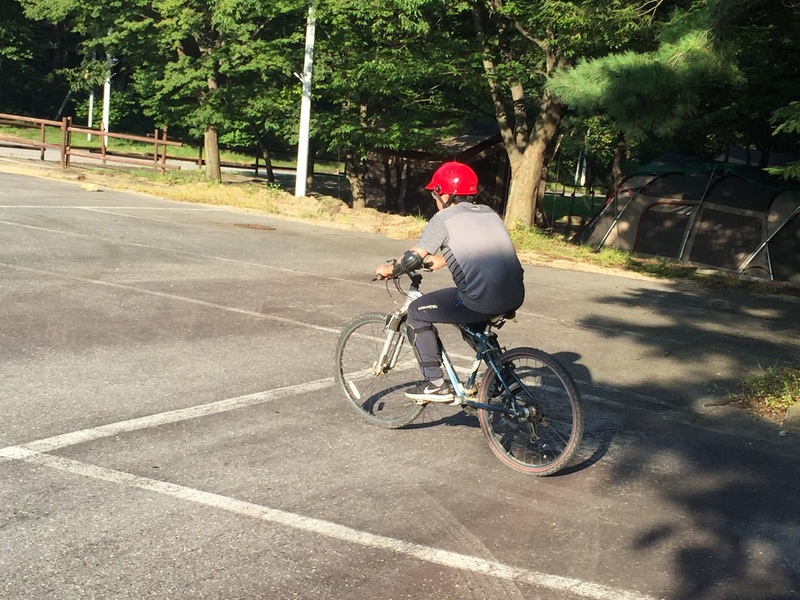 You can get the students lost on a mountain, or they may slip off of that bike and hurt themselves, but each of those setbacks are more important for the development of these kids than if they were able to breeze through each of the challenges. If they get lost on the mountain, they have to come together and think about the best course of action to get themselves safely down. As long as they keep their calm and think things through logically, they will be able to make it back to safety. When they come back to school and look at the next essay they have to write for their English classroom, it won’t look so daunting because they have already overcome something worse than that. And if you think back to those days when you were first learning how to ride a bike, when you fell off, you quickly got back on. If you did not, then you would never have learned how to ride that bike, and enjoy the freedom that was gained from going through those troubled times learning how to ride. The reward was worth the pain that they suffered along the way. When you learn how to ride that bike, or climb to the top of that mountain, you gain the greatest thing you can ever get in this lifetime, a story to tell, a memory to cherish, an accomplishment that no one can ever take away. These are the things that can never be learned in a classroom. They can only be obtained through the trial that was experienced. This is the importance of an experiential education program, and it is the reason that I can always be happy to be a part of this moment with my students, every year.